It’s finally here, folks! I’ve wanted to do a Geek Fitness podcast for a while, and I finally pulled the trigger. We have had such a blast working on the Geek to Geek podcast together I wanted to start Geek Fitness Health Hacks, my own solo show. You can listen to the show on iTunes, Stitcher, Google Play, and YouTube (or any other podcast player you love). To make sure you never miss an episode, make sure you sign up for the mailing list. Anyway, enough rambling about that. Let’s get on with the show. Literally! 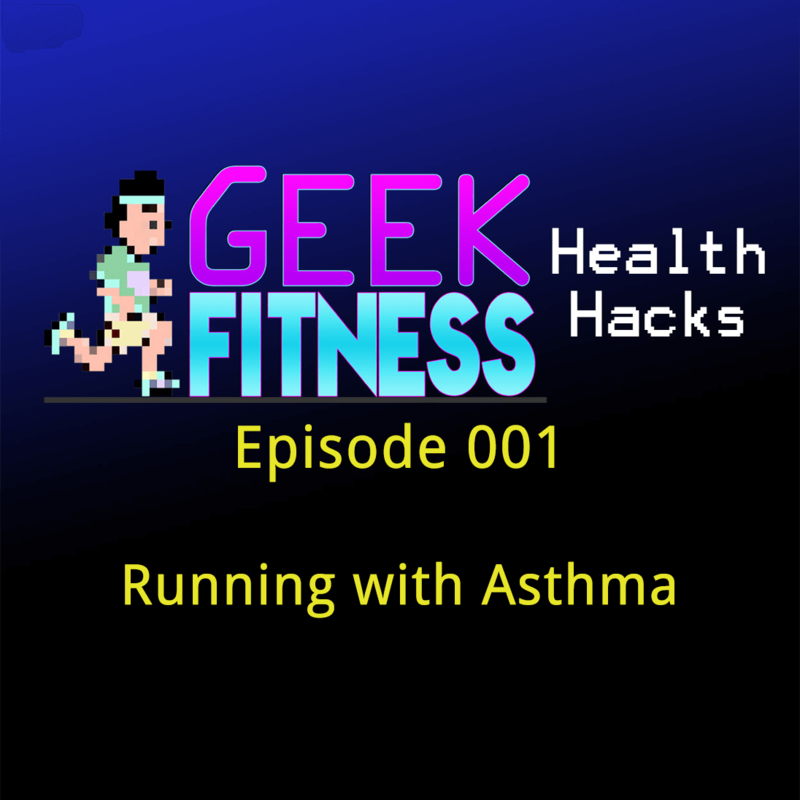 RUNNING WITH EXERCISE INDUCED ASTHMA! Roughly 15% of athletes are diagnosed with exercise induced asthma, but many people believe it’s a make-believe ailment. You can still be a runner if you have exercise induced asthma, traditional asthma, or even exercise induced bronchospasms. You need to train by altering training plans, allowing yourself more time. Because exercise induced asthma is totally dangerous, you need to keep an inhaler handy, too. If you’re looking for exercise induced asthma treatment, see a doctor (obviously). But what works for me is keeping an inhaler that I can use about 15 minutes before I run. It also helps not to compare yourself to athletes who don’t have asthma. It really boosts confidence in yourself that way. Believe me. You will progress more slowly than other people and plans say you should, but you will progress. SOMETHING OF THE WEEK: You can bake Quest Bars and make protein cookies! Quest Bars are the best protein bars I’ve found. They’re expensive, but worth the splurge. Especially since I discovered this health hack: Bake them in the dashboard of your car! Just leave the bar in the sun and come back to a delightfully warm cookie bar. OMG! The wrapper made it lovely and soft and delicious. I am so going to leave oodles of Quest Bars in there all day long and see how it is. I can’t imagine how it would be bad. I have gained 25lbs since September because of an injury, and I am trying to get back down to where my clothes fit. I am trying not to use weight as a metric as much as my energy levels and how clothes fit. It’s really hard to do this, given how much weight I’ve lost in the past. But…my body is slowly adapting. And the pounds will melt off soon(ish). I hope. Good luck out there, fitgeeks! Hope you enjoy the show! And if you have a particular exercise induced asthma treatment you have had luck with, let me know. I’m @geekfitnesscast on Twitter!